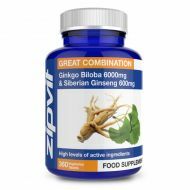 An ideal combination of Saw Palmetto, Pumpkin Seed Extract, and Zinc Gluconate. Our Saw Palmetto Plus Formula gives 45% sterols and fatty acids. 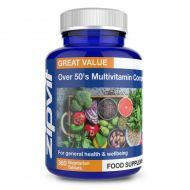 We also include 250mg of Pumpkin Seed and Zinc 8mg. In the early part of the twentieth century, saw palmetto berry tea was commonly recommended by herbalists. The liposterolic (fat-soluble) extract of saw palmetto provides concentrated amounts of free fatty acids and sterols. Bulking Agent:Microcrystalline Cellulose, Capsule Shell :HPMC, Zinc Gluconate, Pumpkin Seed 10:1 Extract Equivalent to 250mg Herb Powder, Saw Palmetto Extract 20:1 Extract Equivalent to 500mg Herb Powder, Flow Agents: Magnesium Stearate, Silicon Dioxide.